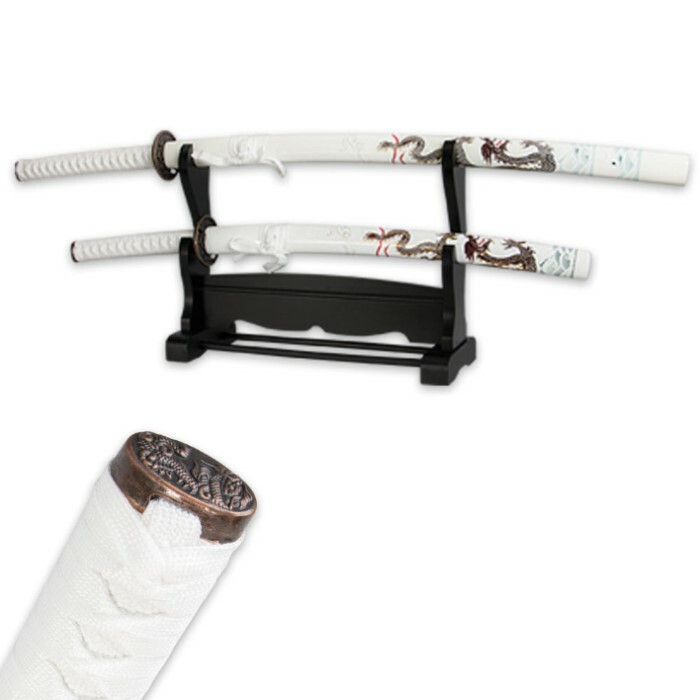 White Flying Dragon Sword Set With Display | BUDK.com - Knives & Swords At The Lowest Prices! If you do not add this beautiful and elegant White Flying Dragon Sword Set to your collection, then you are missing out on the must-have for the year. Never has a set been more refined and graceful as this katana and wakizashi. 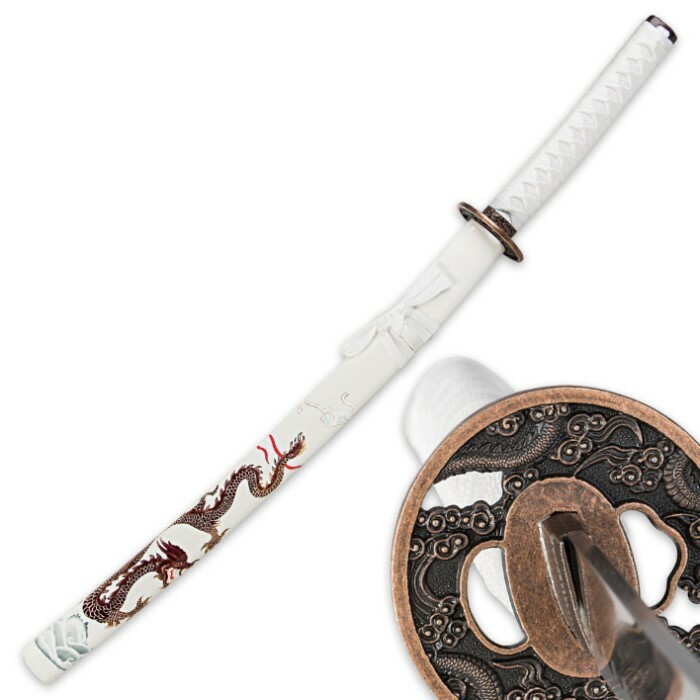 Each is housed in a white, lacquered, glossy scabbard with an intricately detailed dragon design. 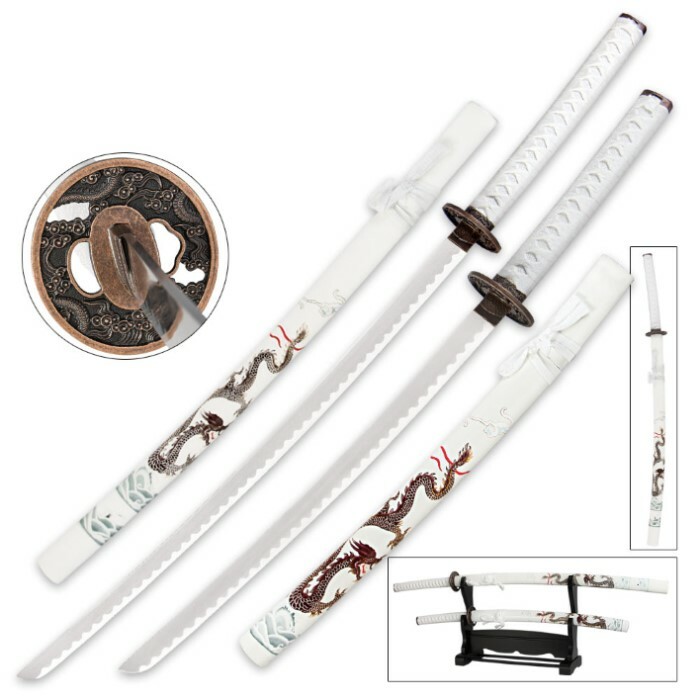 Each has an antique-look cast metal tsuba, which continues the dragon motif, and a white cord-wrapped handle. Each blade is made of polished, high-carbon steel. Then, to complete this incredible package, we are giving you a black lacquered wooden stand to display both. decent for the price. However, a few things i was not happy about. 1. swords get stuck in scabbard, 2. no scabbard metal plates. 3. the tips of the blades are so poorly made that instead of an edge it is flat, not even dull but flat. great for decor but only decor!